Last night it looked like we were in for a good downpour. The skies were suitably ominous, it went very dark and there was a fair bit of lightning and thunder. And then we got some light drizzly rain. For about five minutes. Sigh. Today is back to hot, sunny and humid. At least the humidity means less transpiration and evaporation. I'm now fixated on Thursday's forecast, which is promising a whole day of rain! Our situation seems relatively good when you look at what is going on in more than half of the land area of the United States at the moment - the drought maps make grim viewing and I really feel for the farmers and growers there. ...and the closest we've got to rain in the last two weeks. But it does mark a change in the weather - and with any luck, one which will result in some relief for the garden and our water supply! I've seen a couple of stories along the lines of the one reported by the CBC on Wednesday. 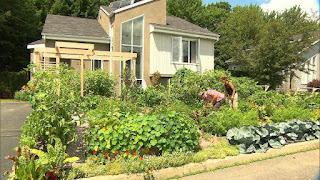 A couple living in Drummondville, Quebec, have been told that they have to replace their front-yard vegetable garden with at least 30% lawn or face fines of $100-300 per day. 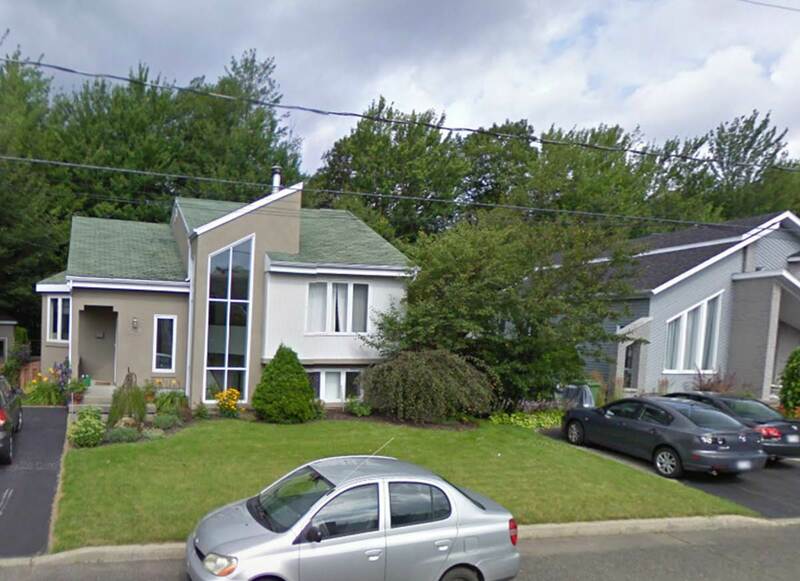 There was a similar story about this time last year about a family in Oak Park, Detroit who also faced fines and possibly jail time over a similar issue. In that case, the charges were dropped after the city was bombarded with negative publicity. I hope the same will be true in Drummondville. In both cases the vegetable gardens were a credit to their neighbourhoods and had been started with the best of intentions by the families involved. I find these by-laws baffling and anachronistic. I can (sort of) understand them being passed in the 1950s, when the suburban lawn was the height of fashion, but in today's world, where we are more aware that maintaining the monoculture of a lush lawn is a waste of precious water (and not to mention the toxic weedkillers and fertilisers that make their way into those water supplies)? And here it is today as recorded by the CBC. So much more interesting and vibrant, I'd say. Not to mention productive, health-enhancing, environmentally responsible... Sigh. 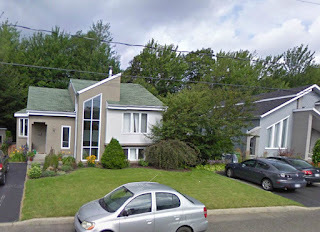 The Drummondville case is even worse than the Oak Park one, because the city is planning to ban all front yard vegetable gardens in homes built after this Fall. You can probably hear me banging my head on the desk from there. Every time thunderstorms have been forecast in the last two weeks we've missed out on them. In July so far we've only had one day with any rain - Saturday the 7th, when we got around 5mm. In an average July we should get around 50mm. In the two weeks since that rain we've watched as the grass has turned brown and crispy, the vegetables in the barnyard have slowly been dying and the trees have been shedding their leaves. Trucks carrying drinking water are a regular sight along the roads again as people's wells run dry. The next chance of rain is on Monday, according to the weather forecast, but even then it is only a 50% chance of thundershowers and those are notoriously fickle and localised. I'm keeping the greenhouse plants going using the rejected water from our domestic system, but if there isn't rain soon I won't be able to keep doing that, as we'll need to recycle that back into the cistern for our own use. I posted about a mystery wildflower three years ago - at the time it had finished flowering and its dried up seed heads weren't very helpful in making a firm identification, although one of the commenters at the time did suggest it might be an Inula. It's Inula helenium, not a native wildflower at all, but a naturalised plant from the old world, used for various medicinal purposes and in the production of absinthe, according to Wikipedia. Its common name is Elecampane (also Elf-wort). The 'ele' part and both parts of the Latin name come from an association with Helen of Troy: one story is that the plant grew where her tears fell when she was abducted by Paris. I'm really pleased to have found the plant again and to have caught it in full flower this time. I usually try to avoid crowds: part of my motivation for moving to Canada was to escape the hideous crush of people in rush-hour public transport or the traffic jams which are such a normal part of life in getting from one part of England to another. So for me to willingly attend an event at which thousands of people are expected is a little out of character. But when it worked out that I would be in England at the time of the Hampton Court Flower Show and that my aunt and her friend were willing to take me along with them, I jumped at the chance. I've never spent a day at one of the big flower shows and I thought it would be an experience not to miss, even if it might be a little stressful to be in a big crowd. Luckily, the show is spread over a large area in the grounds of Hampton Court Palace and although it was very busy, it never felt overwhelming in terms of people. What's more, the show is full of such interesting plants, gardens and merchandise that it's impossible to feel claustrophobic for very long. And everyone attending is a gardener and is enjoying him or herself, so the crowd are good-tempered and happy to amble rather than rush. But it did brighten up as the day went on. Blue and yellow was a popular colour combination in quite a few of the gardens. This garden was inspired by last year's UK riots. I liked the 'edible bus stop', with its crop of tomatoes and strawberries. One thing I did enjoy about moving past other people in such a big crowd was the way I heard little snippets of other people's conversations. They are so intriguing: "...gravitating towards the agapanthus..." "...Tom could get those free at the cattle market..." - it's like tuning a radio from one channel to the next. It was a wonderful day and I'd love to have the chance to do something similar back home in Ontario. There's a garden show in Toronto in March, but I'm not aware of anything quite like the summer RHS shows in Canada. It's a shame, as the weather there is much more likely to be co-operative! But I suppose the smaller population of gardeners wouldn't make it worthwhile to stage such an event. There it's a problem of not enough crowds.